UPDATED: Thu., Nov. 1, 2018, 7:13 p.m.
It’s been a banner year for area volleyball, with Washington State in the top 20, Idaho and Whitworth chasing titles in their respective conferences and Community Colleges of Spokane closing in on an unbeaten regular season. The milestones extend to the sideline, where all seven college programs in The Spokesman-Review coverage area are led by female coaches. Idaho coach Debbie Buchanan pointed out the rarity in a text message. The question then became: How long had it been? After contacting administrators and sports information directors and scanning school record books, it turns out it’s the first time in 37 years. In 1981, the coaching roster consisted of WSU’s Cindy Laughlin, Idaho’s Amanda Gammage, Gonzaga’s Mandy Nyrop, Eastern Washington’s Mary Rubright, North Idaho College’s Len Mattei, CCS’s Mary Jo (Tracy) Lambert and Whitworth’s Joanne Atwell-Scrivner. The landmark was reached when EWU hired Leslie Flores-Cloud in June to replace Michael King. The last time the four area NCAA Division I schools were piloted by female coaches was in 1986, with Sheri McNeal at Gonzaga, Pam Parks at EWU, Pam Bradetich at Idaho and Karen Lamb at WSU. Coaching was always in the playbook for Buchanan and Greeny following their standout careers. Buchanan was part of four state championships at St. Maries and signed with USC, but her career was derailed by a knee injury. Greeny is one of WSU’s all-time greats as a three-time All-Pac-10 selection. 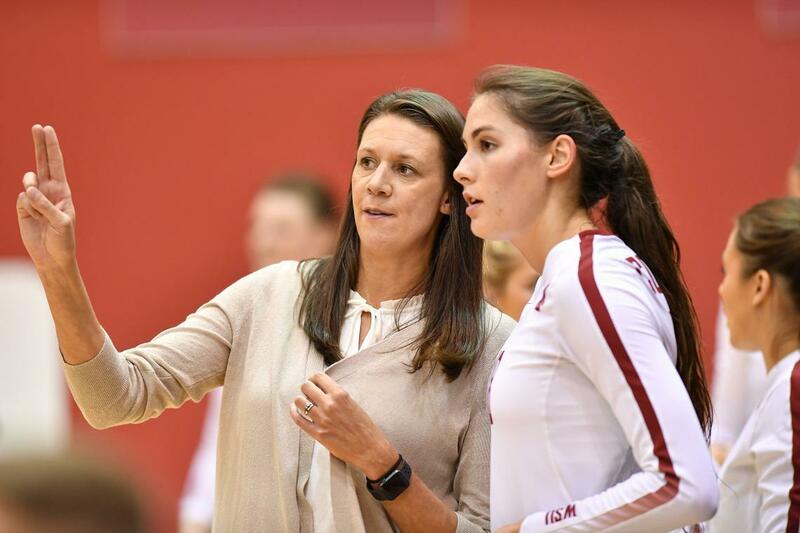 Buchanan is pleased to see opportunities increasing for female coaches, but cautioned that more work remains, especially for women landing their first jobs. Washigton State’s Penny Tusa continues to deliver filling in for injured All-Pac-12 outside hitter Taylor Mims. Tusa earned Pac-12 offensive player of the week honors after posting 34 kills, including a career-high 19 against Colorado, in a pair of road wins. The Cougars (17-5, 8-4) have won four of five matches since Mims exited the Stanford match with a lower-leg injury. The versatile Tusa has played setter, defensive specialist and outside hitter in her two seasons. WSU, tied for second in the conference, entertains No. 21 Arizona on Friday and Arizona State on Sunday. Published: Nov. 1, 2018, 5:22 p.m. Updated: Nov. 1, 2018, 7:13 p.m.